Paper data still plays a major part of industrial paper shredding. It is important that you are Shredding confidential paper before it is put into recycling. This is to ensure that your data is protected and cannot be viewed by public eye. Paper like any other recycling is often left in the blue bin outside your home or business for it to be collected. This is a common practice and nothing wrong with it. 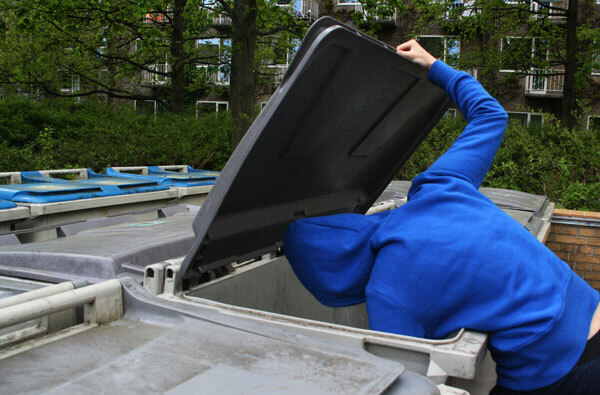 If your recycling contains documents of a personal nature and or sensitive data nor for public knowledge, how it is disposed needs to be taken into consideration. It is quite easy to access anything contained in these bins and within an urban area someone in a “white van” and a high vis jacket could pull up and throw these bags into the van. What they do with these documents may be unclear but can be malicious intent. Having the documents shredded before it is recycled will increase your data security. A good practice for your business to incorporate is to shred your document before you put them into recycling bin. Also to be aware that a simple office shredder does NOT provide adequate data destruction. This data can be reconstructed. An industrial paper shredding service provides you with secure paper shredding. Incorporating a service to handle and destroy your documents should be used. A reputable shredding service will provide you with a collection service to handle and securely destroy documents you have. Ringing your shredding service provider and organising a collection at a time specified by you will ensure that you know when your documents are to be transferred. A shredding service can provide you with sealed bags for collection and shred them in off site paper destruction location. A shredding service can also provide onsite shredding service with their specially designed trucks to handle and destroy these documents. Under the EU directive the data protection act and the data protection commissioner are governing bodies in place to ensure that businesses handle data correctly and ensure sensitive data is used in a correct manner. This entry was posted in Confidential Shredding, Data Destruction, Data Protection, Identity Theft, Off Site Shredding, Onsite Shredding and tagged Confidential Shredding, Data Privacy, Data Protection, Data Security, document shredding, document shredding limerick, Dublin Document Shredding, identity theft limerick, ISO 27018, limerick paper shredding, paper shredding Galway, Secure Shredding by Security in Shredding. Bookmark the permalink.